Between all the craziness of last semester, I was so excited to finally get a little in my sorority (another one to cross off the 101 in 1001 list!). My big spent a ton of money and time and energy crafting for me, so I knew I had to do the same for my little (and there'll be a blog post to come about saving money when crafting for your little because I tried my best not to burst my budget!). I've always loved crafting but I'm not very good at it - so when I find something that's easy to do, looks great and is actually useful, I'm all for it! 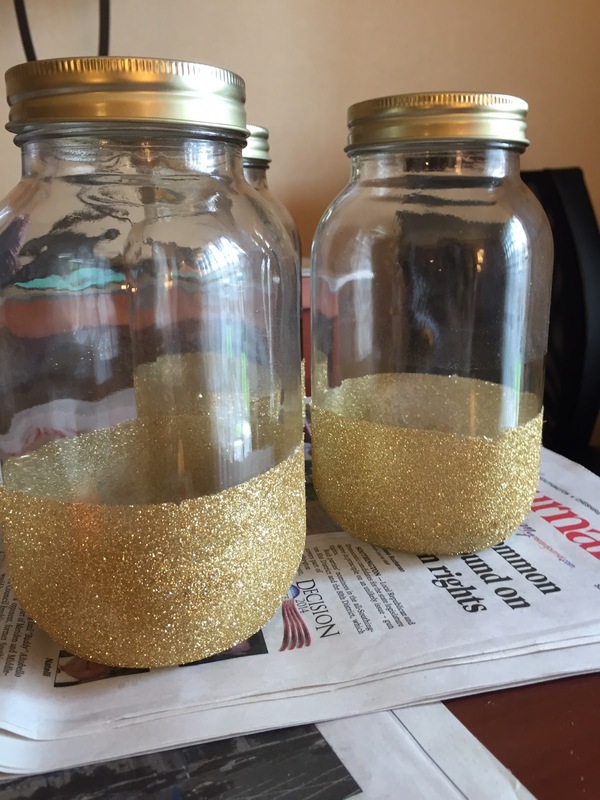 You may remember my gold glittered mason jars from last year, which were so easy to do and such a cute craft! I use mine to hold pencils (like this adorable Kate Spade set! ), and my big uses the one I made for her to hold makeup brushes. Continuing the fam line, I made a set of three mason jars for my little during big/little week and filled it with her favorite candy - but I did it a little differently this time. I was actually in the dollar store looking for a princess crown for my little (it's a tradition that all of the bombshells - my family line - do) when I saw these mason jars, which were a little bigger than ones I'd used before. I loved the idea of decorating bigger jars for filling it with things, so I picked up three, handed the cashier $3 and left with tons of ideas. I can't explain to you how ridiculously easy this project was. Like, I literally made them in 15 minutes. Not only is it easy though, it just looks SO cute. The last time I did this, I used thick glitter and I decided that I wanted a more delicate look this time, and picked up some extra fine glitter from Joann's. 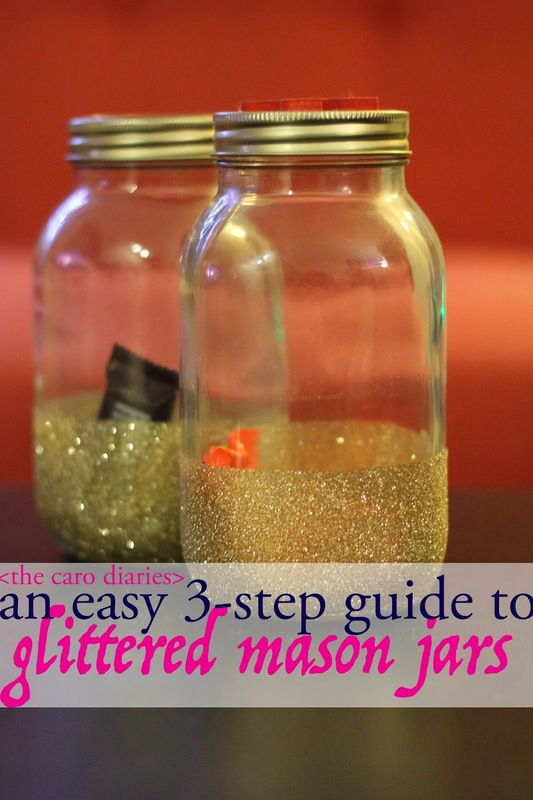 - mason jars: like I said, I got mine at the dollar store - so $3 = not breaking the bank! 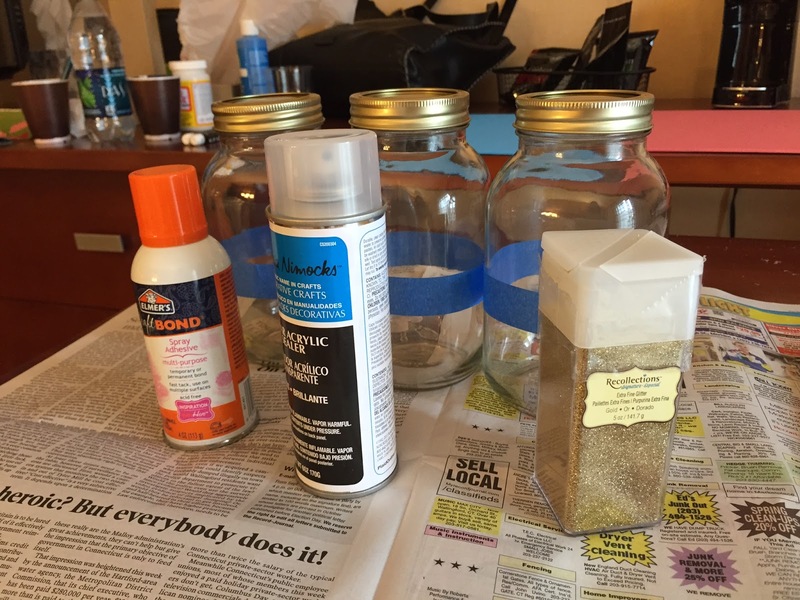 - glue or mod podge: the last time I did this, I used mod podge, and this time I decided to use Elmer's craft bond spray glue - it worked like a charm and I used it for everything! 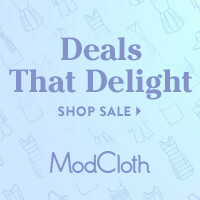 I 100% recommend this over mod podge! - glitter: gold or silver, thick or extra fine - the choice is yours..
- painter's tape: so you can get that perfect straight line. Before you do anything, I suggest getting newspaper. Glitter, ESPECIALLY extra-fine glitter, is a pain in the a$$ to get rid of. I'm still finding glitter all over my room and it's been almost 4 months. 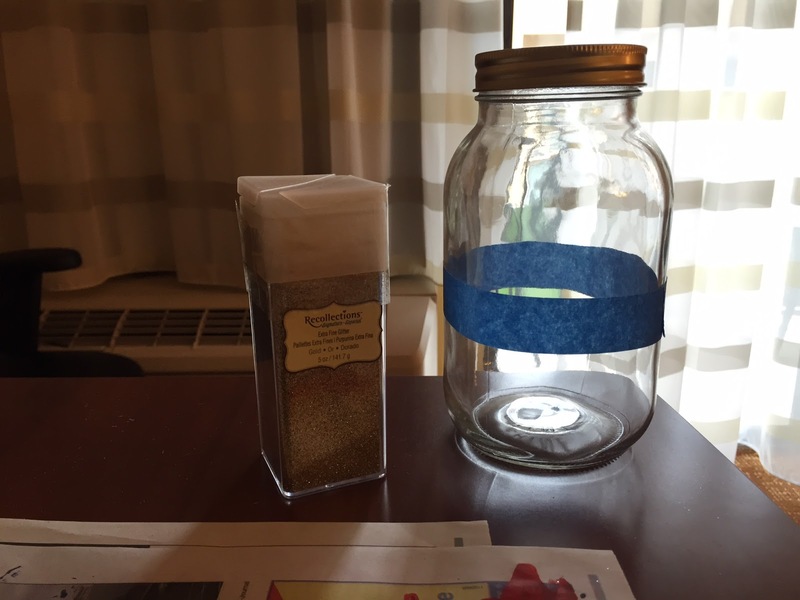 I actually spent the night in a hotel with my sister when we decided to do this craft, and I feel really bad for the hotel staff because there were probably some remnants left behind at some point. Once you're ready to go, put the painter's tape in a straight line where you want the glitter to start. I did mine fairly high this time because of how large these jars were, but that's just personal preference. After taping the line, use mod podge (or the spray glue, which I highly recommend) and spray below the line, sprinkling glitter once you've sprayed evenly. You may need to do a few coats to fill in the spots, but once you've done that, set them down to dry, and carefully remove the tape. I sprayed with sealer so that glitter wouldn't get everywhere, but that didn't really help. Still looking for something that'll prevent that from happening. And that's it. Literally the easiest craft ever, and it brightens up a whole room. Use it for makeup brushes, candy, pencils, anything really. Three steps: tape, spray, glitter. Done.